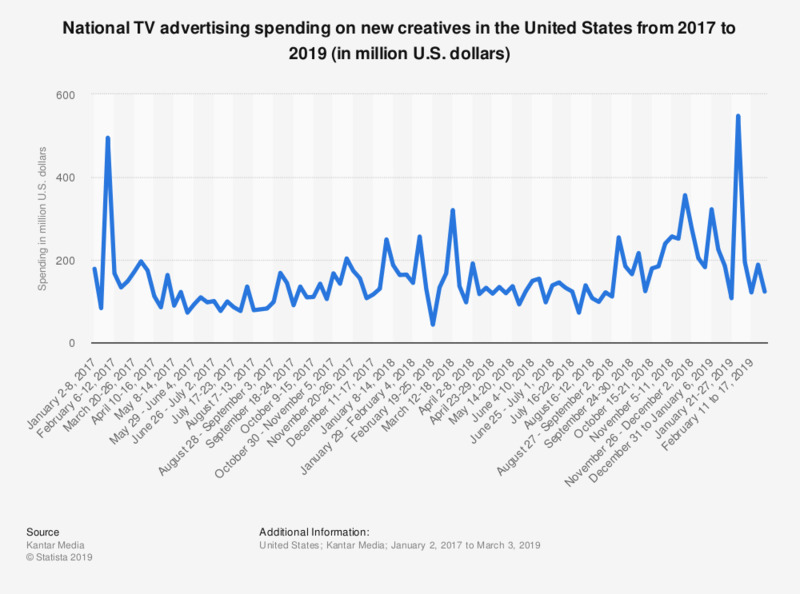 The timeline shows the national TV advertising spending on new creatives in the United States from 2017 to 2019, by week. In the last measured week, advertisers spent a total of 123 million U.S. dollars on new creatives on U.S. national TV. Data missing from the graph was not provided by the source.